Wouldn’t it be nice if you had a relationship with every one of your subscribers? 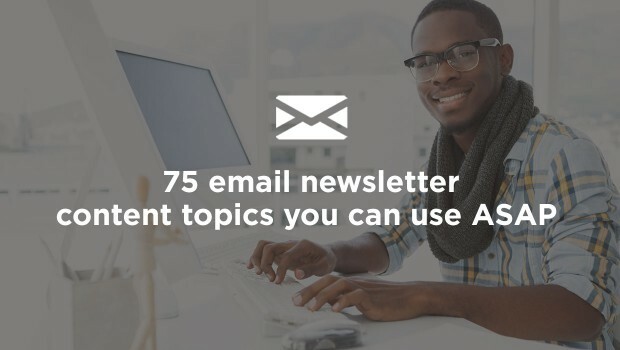 If you’re sending an email newsletter, you already do. According to the Nielsen Norman Group’s Email Newsletter Usability Report (based on 270 email newsletters across six countries), email newsletters create bonds. “Newsletters feel personal because they arrive in users’ inboxes, and users have an ongoing relationship with them…The positive aspect of this emotional relationship is that newsletters can create much more of a bond between users and company than a website can,” says the report. Did you know that 72 percent of U.S. adults prefer that companies communicate with them through email? It’s clear that when someone signs up for your email newsletter, they like you and want to know more about you. When creating your email newsletter, remember, your readers are your friends. They want (and should) hear from you on a regular basis. They also want to know what’s new in your business and they appreciate advice — and if you can hook them up with an occasional deal, even better! 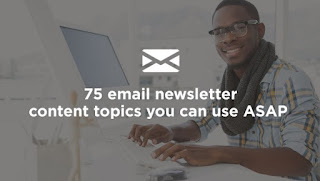 With these 75 content topics, you should be well on your way to creating a memorable email newsletter that keeps readers informed and intrigued.